The all-aluminum Lian Li cases are a thing of beauty. I got one back in the 90’s and built my first computer. I think it is a PC-60 or one similar. It was gorgeous with its subtly brushed aluminum panels and gloss black accent on top. But beauty was not just skin deep. Inside there were aluminum frame rails and panels, a slide out motherboard tray, and removable HDD cages. While at the time it was not considered a shortcoming, it boasted dual 80mm intake fans and only a single 80mm exhaust fan which was sufficient to handle the mild temps rising from the 486 or Pentium chips of that era. In my younger years I used to work on various cars and trucks. Eventually I built a supercharged street Camaro. These days though suping up a modern car (not to mention just changing their oil) is difficult for the DIYer. My passion for tinkering found a new home in computers. I’ve been known to give away a 1 or 2 year old computer so that I could build a new leading-edge computer. I typically spare no expense on components and get frustrated at reviews for the “best” part when they consider dollars as a primary measure of “best”. “Best” has to do with a measurable ability to perform a function. “Affordability” is a different rating and an important one at that, but has no bearing on the parts ability to perform its function. Because of my passion to stay current in computer technologies I had to retire the Lian Li many years ago. These days I rely on modern high air flow cases and even those need to be modified to meet my needs. I have no qualms about taking a jigsaw or Dremel to a new $150 case. My current build satisfies my needs well beyond its home office setting. Still, my old Lian Li (aka LL or LiLi) case shines as beautiful as it was the first day I got it. I can’t bear to part with it. The first thing to address was air flow. What if the air intake into the LL could be tripled or quadrupled? Focusing on creating a positive pressure case, I’d need to add some big intake fans. Rule #1 would prohibit cutting fan intake holes in the side or top aluminum panels. That left me to focus on the front and possibly bottom of the case. The case is wide enough to contain a 180mm fan but the front of the case has several obstacles in the way including the 3.5” drive bays, the dual 80mm fan mounts, and the power\reset buttons and LEDs. The front top has the 5.25” bays that I want to retain for front I/O, hot swap bay, and optical drive. I needed to create a massive opening in the front of the case where the 3.5 bays and 80mm fans were. But wait, what about the front snap-on face panel? Even if I could find a way to mount the large fan to the chassis somehow, I also needed to create a screened opening for the air to enter the case. First things first …. 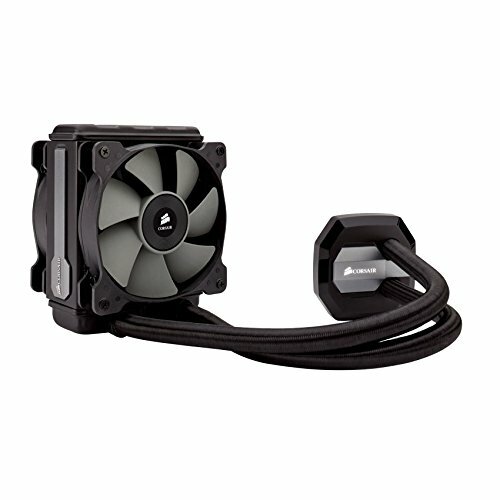 Could I find a way to mount a 180mm fan to the chassis? I measured and marked. I re-measured and re-marked. 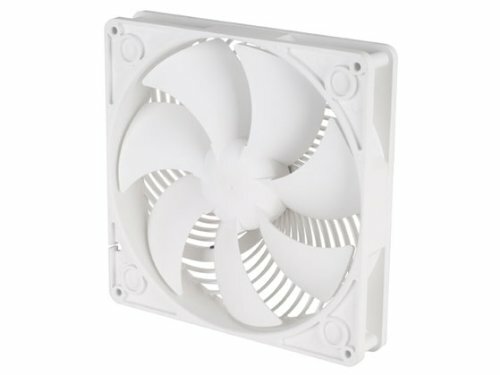 I researched fans to make sure I could find a 180mm fan that met my needs. I considered all things carefully because above all I didn’t want the patient dying on the table during “elective” surgery due to a miscalculation. I finally settled on a fan location, a particular 180mm fan, and a plan on how to modify the front snap-on panel and grill. The day of surgery came and I stripped the case down. All removable parts were removed but there was going to be some collateral damage with this mod … the power\reset buttons and activity LEDs would have to be replaced along with the outdated USB ports. Using blue painters tape, I marked the surgery area for the cut lines. I overlaid the new 180mm fan on the blue tape and marked the cut lines, making sure that behind the marks there were no interfering case frame parts. Taking a deep breath, I began the cut using first a drill, then a jigsaw, and finishing up with a Dremel. This was not an easy cut to make since I was cutting the biggest possible hole which went to the case frame edges. There was a lot of vibration and the cut produced a lot of aluminum grit. Whoa … there was aluminum grit everywhere. Not good for a computer with a high pressure fan blowing air that could stir little hidden particles up. So, off the case went to a post-surgery bath in the sink. Mounting the 180mm fan was easy enough. I sealed off gaps around the cut with aluminum tape. The final installation of the big fan included a dust filter that covered the scars of the operation. Next came the mod to the front cover to allow for a huge air intake. The design of this needed to be as elegant as the case (rule #1). Again, out came the blue tape and I carefully marked the cut lines, being careful to avoid damaging some original trim retaining mounts on the back side of the cover which I was going to use to hold in place the new fan screen. Any mistake in this cut would be a scar on the face of this beauty. Using just the Dremel, I slowly and carefully cut thru the face of the front cover. I erred on cutting too little and sanding down any excess. Because the front cover is mostly plastic there was a lot of melt during the cut. This would be removed with the final sanding. I then went to a local sheet metal fabrication company and bought a 12” square piece of perforated aluminum to be used as the new intake screen. The perf hole size was important to minimize noise, allow for high air flow, but not look too open. Cutting this to size was easy enough. I laid the new screen on the inside of the front cover and using the OEM retaining mounts I then secured the screen to the cover. Now that the new intake fan was in place I was eager to test it. However first I needed to relocate the buttons, LEDs, and USB ports. I could just hook up the fan to a PSU but I didn’t want to do any partial assembly just yet because I was going to make a bit more fabrication dust relocating the buttons\etc. I have a favorite Lian Li parts website that had a very nice brushed aluminum USB 3 and power\reset face plate that would fit a 5.25 bay. This was the easiest mod of the LL revival and was an easy slide in replacement. The only thing I needed to do was rivet the new face plate to the chassis. A quick vacuum of the minimal particles and I was ready for a test fire of the new intake fan. Power on and the fan worked wonderfully. I was pleased with the minimal noise produced and the high air flow. Not only did the new parts work well but removing the 3.5” bays to accomplish this feat and the new buttons\USB face plate made the LL look modern while retaining its elegance. The LL now had a robust air supply. However, with just a single 80mm exhaust fan all I’ve achieved so far is a very high pressure case. I needed to evacuate the case with a larger exhaust fan to create air flow. This is where it got very complicated. There are a lot of obstacles at the rear of the case that can’t just be cut away. I was able to fit a 92mm fan in place of the OEM 80mm without much problem. But that would hardly be enough to bring the LL up to present day standards. No, nothing but at least a 120mm exhaust fan would satisfy the air flow requirement (rule #3). I scratched my head for a long time on this one. I really didn’t want to cut a hole in the floor of the case. Cutting a hole in the sides or top would break rule #1. Plus, in order to be able to have quality airflow the new fan had to be in the rear to pull air across the motherboard and particularly the CPU. I had to think “out of the box” to get a large exhaust fan “into the box”. 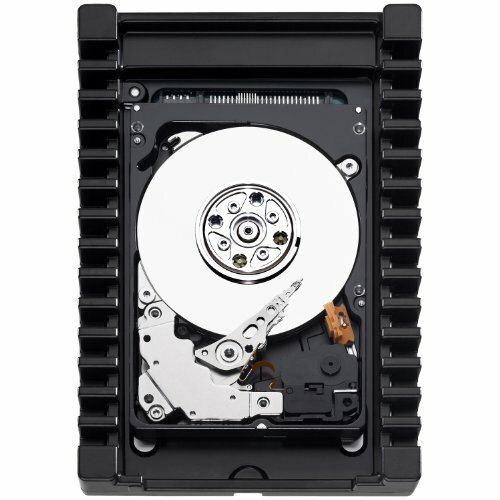 Could a 120mm fan even fit above the motherboard rear headers and the side panel? The answer was yes (barely) but the fan would have to be moved back from the motherboard back plate to get away from the rear frame rail. In this position the fan would extend down slightly into the motherboard area. There really was no other location for the fan. So now that I had an idea for a solution I started masking the back plate to mark for a larger exhaust vent hole. More measuring, taping, and marking. I Dremeled a new rear exhaust hole and fitted a fan screen to it with aluminum rivets. I test fitted a 120mm fan to the new exhaust location and setup a fan test. Power on and with both the front 180mm and rear 120mm fans running I had quite the breeze blowing out the back! This old beautiful case was breathing like a new one. No, not like just any new case, but like a new high airflow case. There’s just one catch … the new rear fan mounted on the back of the motherboard tray makes sliding out the tray impossible. That’s not the end of the world, but I will miss that capability. I actually wish a slide out tray was a standard feature on most cases. This LL case was really ahead of its time back in its day. But a new day is coming … get ready for some power to make use of that new airflow! Before I could start adding components into the case I needed to do some work on the motherboard tray. For starters, this 20+ year old tray didn’t have a CPU cutout. (the 90’s were a simpler time) Once again I performed the tape, mark, and cut ritual. I left some extra tray material around the cut so that I could fold it back onto itself for extra rigidity around the cutout. It wasn’t exactly pretty but the result made mounting a modern CPU cooler possible. Next, I used a hole saw drill bit to drill holes through the power supply compartment. This enabled me to pass PSU cables through to the back of the motherboard. Before routing the cables, I pressed in a rubber U-channel over the cut aluminum to protect the cables. Speaking of cables, I’m a stickler for cable management. Why go to all this trouble to have a rat nest of cables? I started by placing several adhesive cable tiedowns on the back of the mobo tray. Then I got some unneeded slotted mobo expansion slot covers and cut off the ends. Using these metal strips along with zip-ties, I sandwiched the PSU and other cables to the back of the mobo. Everything was looking nice and tidy. Let me start by saying that I do not need a computer as powerful as what I intend to build into my Lian Li. Truth be told I don’t need as much power as I built into any of my computers. I suppose I could use the LL to power a VR headset or play some fancy new games, but I could probably do most of that on my current daily-use build. You could say then that what I’m about to build is a waste of money. Or perhaps that might be what my loving wife thinks. But do we need a quantifiable justification for a hobby? Yes, I’m going to hide behind the hobby card for this. All the bills are paid and building this machine and reviving an old beauty makes me happy. So be it! While the budget is high for this build, I’m not a fool nor am I crazy about spending unnecessarily. That said, this build needs to be modern and strong but depending on component price could be less than leading edge. I won’t get into the routine details of a computer build here. So instead I’ll discuss some interesting details that you might find interesting. This was my first liquid cooled build and I figured that there were some nuances to be considered. With an air cooled CPU you only have a few readings to watch – CPU temp and CPU fan speed. In this scenario we attempt to keep the CPU heat sink (that the fans are attached to) cooled in response to fluctuating CPU temps by adjusting fan speed. Duh. But we never really know what the heat sink temp is. It’s unrealistic to think that we can keep a CPU from sweating when it is at work, so the best we can do is keep something cool pressed against it. The traditional air-cooled approach works but air is not as good of a transfer medium as liquid. And we never know what the temp of the air-cooled heat sink is. In a liquid cooled CPU scenario, in addition to the CPU temp and fan speed readings we also have the coolant temp reading. Because of this additional coolant temp reading we can focus on what really matters – keeping something cool pressed against the ever-busy CPU. Sure, we’ll worry about the actual CPU temp, but as long as we do the best we can to keep something cool pressed against it we are doing our CPU cooling job well. To that end I focused on monitoring the coolant temp and passing as much air through the radiator as possible. Using aluminum tape, I sealed off all potential air leaks in the case. I also researched CPU thermal paste and selected Grizzly Kryonaut for its outstanding heat transfer abilities. All fans except for the big 180mm and the CPU water block pump are all mobo PMW controlled. I use Asus's AI Suite fan controller to manage their speeds. In the BIOS I set all mobo controlled fans to come on at full power. This provides for a powerful rush of air at startup to create some air movement momentum. Once Windows is up and the Asus fan controller takes over the fans come down to their predefined curve settings. I'm using the PSU as another exhaust fan. This Lian Li case has limited exhaust options so I specifically selected a PSU which I could disable the quiet mode. I want the PSU fan running, albeit at a low speed when the PSU isn't doing much. The fact that this case is of the older design with the PSU on top is an advantage here because it helps draw intake air up across the mobo. Now that the LiLi has burned in for a couple weeks I can provide some info on the temps. All temps are with the intake fan running at about half speed. 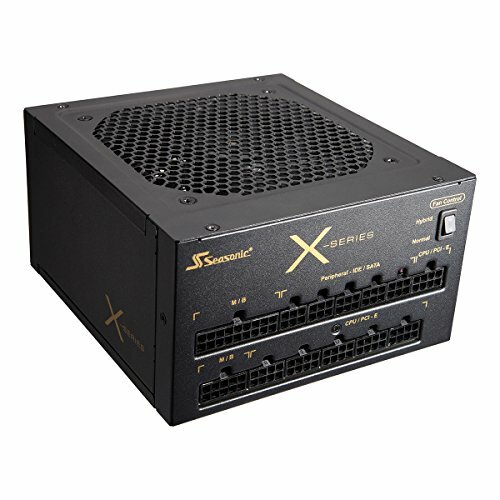 The Silverstone 180 is a high watt fan and I can't plug it into a mobo header and control it via the mobo (yet anyway). Currently it's plugged into a molex and controlled via its supplied speed dial. The CPU idles around 22-24 with no activity. That means no movement of any window on the Windows desktop, no background process, no internet activity. When the CPU is busy with Windows or some other background process she warms up to the mid 30s, but can be anywhere in between. She immediately drops back down to her idle temp when she's done with whatever it is. The CPU coolant temp stays in the mid 20s. Recall that my strategy is to keep the rad coolant temp low. As long as the coolant block has a good seat to the CPU and we keep the coolant temp in check we can let the CPU do whatever it wants (within reason). During the times when I was installing software and performing other tasks the coolant climbed gradually up to maybe 27 while the CPU was in the low 40s. Afterwards the coolant gradually dropped a few degrees. This is where I want to focus my efforts. I want the coolant to drop as quickly as possible to be ready for the next CPU workload. You might have noticed 2 small 50mm fans on the mobo. One is over the M.2 drive heatsink and the other is up by the power regulator area. The integrated M.2 heatsink on the Asus mobo works wonderfully. The M.2 stays very cool, like in the lower 20s. I'm very pleased with that. Then, because the only case exhaust is via either the PSU fan or the CPU rad fans, I wanted to add some air circulation up by the mobo voltage regulator and CPU power plug. I don't know that I needed it but I was afraid there may not be enough of a draft back in that tight area. The video card is happy as a clam (again, with only simple graphics and videos displayed). The fans never come on and the case air flow is enough to keep the video card below 30. Note that I got the new iCX version of the GTX 1070 from EVGA. This provides so many more data points then the ACX version. I recently installed ARMA III to test my system and cooling capabilities. I read that this game is a good one to stress your video card and other components. I set all game options to “ultra” and began playing. I must say that I can see why this game is a good stress test … the graphics are stunning. After a couple hours of play time and countless lives lost, I exited the game and went immediately to my temp monitoring tools. The video card GPU was at 40 degrees and its power supply was in the 30s. The CPU coolant was in the low 30s and the CPU itself had already cooled down to idle temps. With the coolant in the 30s I suspect the CPU was working hard and probably hovered in the 50s, but that’s a guess. I am very pleased with these temps. I attribute this success to having a high pressure\volume air intake with no case leaks and forcing the intake air through the CPU rad and video card. Beautiful build man, aluminium is always going to be one of my favourite chassis materials. I too have a partner who doesn't really understand my spending and time spent planning a build - but it's the tinkering process, that's the gold. Chuck up a photo of the whole build with the sides on if you have time, I'm interested to see it! +1 on seeing the final product. Loved reading about the whole process. Nicely done! Dude, nice build yourself. Now that the 1070 TIs are available I'm wishing I waited. What monitor is that? Thanks man. It's the Alienware 34 Gsync 3440x1440 ultra wide. Got a good deal on it months back and it didn't take long to realize I needed a more capable machine to take advantage of it in gaming. rarskies, I checked out your builds. Nicely done yourself. I love trying to make something difficult work, like packing a lot into a small package like what you did. Thanks. Pics and more details about temps have been added. Nice work breathing life into something and not letting it waste away in the closet! Clean build. Are there any pics of it fully put together with the side on? What are your temps under load after the mods? Holy cow Havx027, that build of yours looks like its ready to take off! LoL yeah, I sold most of the parts off since to a family member. I was going blind from the rgb ;). Absolutely fantastic writeup on the extensive mod work done. Great job. I added a Temp and Fan Control section to my writeup. I've added a temp update after playing ARMA III for a while. GPU temp is steady at 40, CPU coolant is in the low 30s.